Blockchain or distributed ledger technology, as it’s also known, has been on an explosive growth path over the last few years. From 2014-2016, $1.4 billion has been invested in blockchain and 2,500 patents have been filled. Over the course of 2017, experts predict that 80% of banks will start blockchain projects. This might not be a surprise given how much it does and will continue to impact the global financial system. Trillions of dollars travel between billions of people on a daily basis. The current system has worked for some time, but as technology grows, people find that the current system has many problems: additional fees, delays, fraud, crime, and extraneous paperwork. In fact, 45% of financial intermediaries are victims of crime every year. The number falls to 37% for the entire economy, but still, that comes to billions of dollars every year. Financial institutions looking to use blockchain technology for their benefit have a lot of resources from which they can draw. Deloitte has created multiple reports about how companies can implement blockchain technology. Education - You first need to do extensive research into blockchain and do your best to predict how it might disrupt your current ways of working and what the effects might be, both positive and negative. Identification - After you have done your research, you then need to work with leaders within the organization to identify areas where blockchain can impact profit structures and financial risks. Prioritization - With a list in place, leaders must work together to categorize and prioritize the various implementation possibilities. After they agree on where blockchain can be implemented they then need to experiment with various technologies. Commercialization - When they have a set of successful experiments they can then start to develop use cases and plans to scale their use. 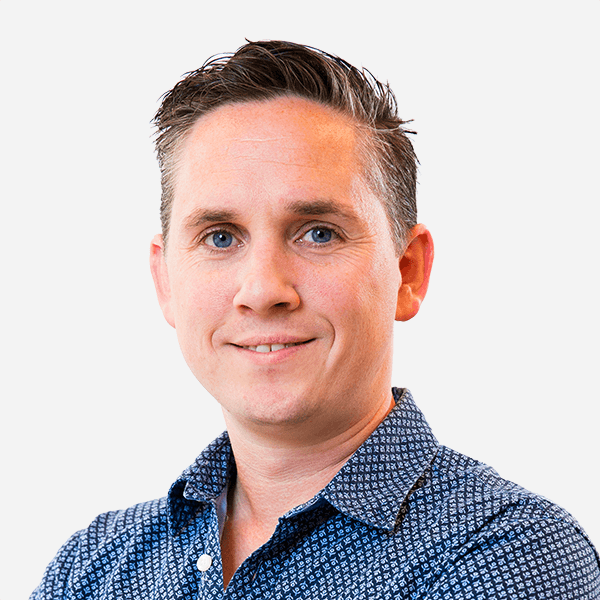 Collaboration - When scaling use cases, some companies may need to collaborate with others so it is important to have a network of peers to rely on. These steps will take you far in your quest to innovate your financial services through technology. But before you jump in, Deloitte also offers some words of caution. They say that there are many factors that still may impact how well blockchain technology can be implemented: uncertainty in regulation, little progress in standardization, and lack of a formal legal framework. They also explain that there is one large risk that might make some companies think twice about implementing blockchain: confidentiality. Blockchain allows various parties access information in the chain. All of these parties may not entirely know or trust each other, but using blockchain they have to share the same database. There is no trusted intermediary that passes along information. Businesses have to decide for themselves if the benefits of disintermediation outweigh the costs of less confidentiality. Given the various steps that blockchain requires and the risks it entails, services in the financial sector have still moved forward in implementing the technology. Many of them have found that the benefits far outweigh the costs. One of the most well-known uses of blockchain is in the mainstream financial sector: trading and internal accounting. But blockchain is also used in crowdfunding, gift cards, loyalty point systems, and local currencies. Many businesses like cosmetics, electronics, luxury goods, and pharmaceuticals are subject to theft and counterfeiting. Blockchains can help reduce these financial risks by creating records along each step of the manufacturing and shipping process. In order to verify the product's authenticity, a retailer can track the journey of the product from beginning to end. Many businesses do not just do internal financial transactions; they have financial deals with other companies, vendors, suppliers, and retailers. All of these parts of the supply chain need information from each other. Using blockchain can make this process more transparent and efficient. By giving finance departments at all the various companies access to blockchain records, they can see what is happening when, where, and how. Most global payments come with many transaction fees. The average fee in 2016 was 7.6%. Blockchain and smart contracts can make the process cheaper by cutting out some of the people that need to manage these transactions. In recent years, single borrowers of large amounts of money have borrowed up to about $2 trillion in the United States. The risks of these types of loans can be mitigated by tracking identities, capital, and risks in the blockchain. Smart contracts associated with the blockchain can assist in underwriting and credit decisions. Blockchain technology could increase security through embedding regulation into transactions. When a bank issues a bond, it could create a block in the chain. Any times changes occur regarding capital, they would link to the chain. The system could then alert the bank and other regulators when certain conditions are met. Insurance claims are often the subject of fraud. But with blockchain, agents can submit faster claims and review them at a faster pace due to the information in smart contracts and the blockchain. Machines can automate the process so that reviewers do not have to take time on each case. Equity post trade is the process where sellers and buyers communicate information about trades and change ownership records. Blockchain can speed this process up by removing the need for intermediaries and minimizing risks. Auditing could get a lot easier with blockchain. If businesses give access to auditors, they can examine very transaction as it happened. Creating reports based on the blockchain allows for the report to automatically update based on what transactions are added. Companies often participate in proxy voting, but it can be difficult to manage statements and voting. The blockchain could track when someone buys stock in a company use a smart contract to link them to a voting system which can then be verified by the blockchain. 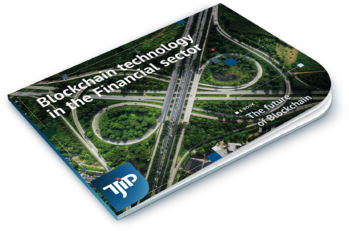 Join the TJIP Blockchain roundtable for new trends in the finance business. There seems to be no doubt that blockchain technology will continue to evolve and impact the way financial institutions do business. We all need to continue to evaluate how the technology impacts us in terms of productivity and profit, but also safety and security. Learn more about this article?